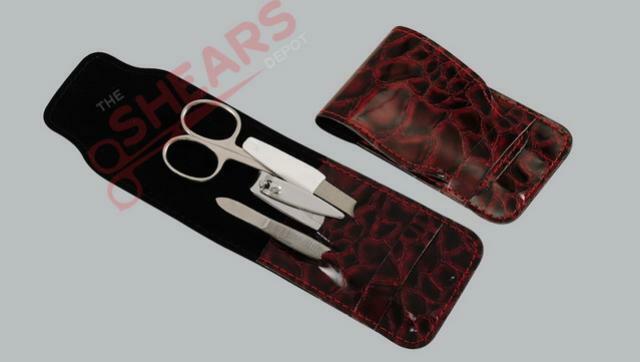 This is a 4 piece manicure set in a burgundy color crocodile imitation leather casing. It is an excellent manicure set to carry inside a purse or a clutch. Very handy. Makes a perfect gift item as well.